ST. PETERSBURG, Fla. (AP) — The Tampa Bay Rays have a knack for defying the odds. The budget-minded franchise proved it doesn't necessarily have to have the largest payroll in baseball to win by thriving against big spenders in the challenging AL East from 2008 to 2013, earning four playoff berths over six seasons and making it to the World Series once. Now, last year's surprising 90-72, third-place finish has heightened expectations for closing the gap between themselves and the Boston Red Sox and New York Yankees again. 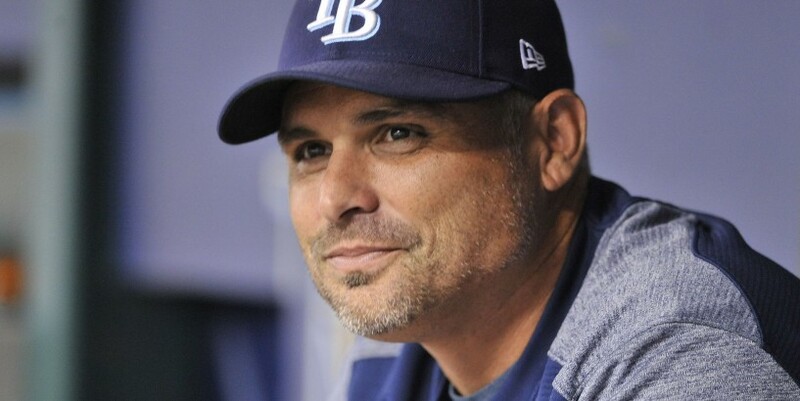 Manager Kevin Cash's team was one of the feel-good stories of 2018, improving by 10 victories despite undergoing a massive makeover that purged salary and ignited a youth-driven, second-half turnaround that kept Tampa Bay in contention for a postseason berth until late September. Cash, who has watched coaches Rocco Baldelli and Charlie Montoyo depart this offseason to manage other teams, is confident the Rays can continue the upward trajectory although it doesn't figure to be easy in such a competitive division. "There's still a lot of youth on this team. There's going to be a lot of sophomore years for players, and some will have some struggles. That's ok, We're patient," Cash said. "We're going to continue to be patient, but I'm hoping a lot of the experience we gained in '18 is going to help." Right-hander Brent Honeywell is returning after Tommy John surgery that sidelined him all of last season and — barring a setback — could be ready to make his major league debut, possibly as early as June. He watched the team's success from a distance last year and couldn't help but wonder if healthy what he might have been to contribute. "That's just the way that I think. That's the way I go about this game, I want to win games as soon as possible," the 23-year-old said. With Snell, Morton and Tyler Glasnow, obtained a deal that sent former No. 1 starter Chris Archer to the Pittsburgh Pirates at last year's trade deadline, Cash feels good about his projected rotation. The manager plans to continue using "openers" — relievers who start games and typically face between three and nine batters — to cover other days. The strategy worked well after the Rays introduced it in mid-May last summer. Most of the components the fueled the success of Cash's creative use of the bullpen returns, however some of the roles may have to be tweaked a bit after the departure of veteran reliever Sergio Romo. With fewer questions than usual about what the lineup might look like on opening day, one of the aims will be to prepare a talented nucleus talent to get off to a fast start. The Rays lost 12 of 15 games to begin the season a year ago. This year's journey begins at home March 28 against the Houston Astros.